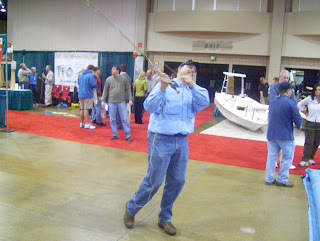 To be honest, I had myself talked out of going to the Atlanta Fly Fishing show this year. I had all of the usual excuses - too far, too much money, need to stay home, need to do this, blah, blah, blah. You know how it is. Then I got an email from Kent "The Clinch Knot is Your Friend" Edmonds. Kent asked me if I would consider helping him at the TFO booth. Of course I jumped at the chance. He acted like I was doing him a huge favor since he was going to be short-handed, but come on Kent, are you kidding me? This is like asking Otis if he would mind keeping an eye on your liquor store for a few hours. Hang out with fellow anglers and talk shop all day? Yeah, I can do that. And that's the best thing about these shows - the people. Yes, there are all kinds of cool gadgets to play around with and one great seminar after another, but I just like hanging out with fly fishers. It's always good to see old friends like Kent, David and Becky Hulsey (thanks for the Toccoa tips David), Rob Prytula (fly tier extraordinaire), Eric Cook and about a hundred other people I'm leaving out. By the way, Eric is the guy casting in the photo above. Dude can throw it a mile and it was fun watching him cast an 8 weight from one end of the other conference center to the other. Ok, enough rambling. All I really meant to say in the post is - go to these shows and events when you get a chance. Go cast every rod in the place. Go to every seminar you can. Go talk fishing and casting with everyone there. It's almost as good as a day on the river. Almost. Thanks for the help, Ty. And that's "the clinch knot is NOT your friend" Kent. Folks, Kent is being modest here. 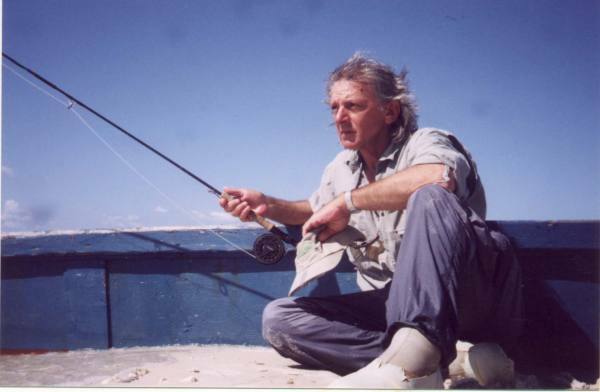 His seminar "The Clinch Knot: 90% is Still Pretty Good" is legendary on the fly fishing show circuit.